Nu Nu Theatre is an experimental theatre company based in Bristol, in the UK – established in 2012. Our company is working with professional performers who perform in a non-native language. Our aesthetic vision is realised using a working technique which we naively call the ‘childlike approach’ to theatre making. 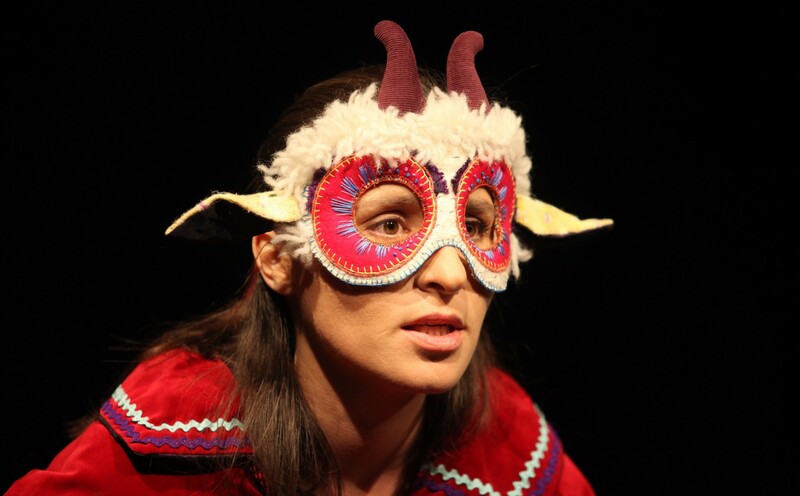 The company’s founders – Mihai Florea and Ileana Gherghina – are both Romanian theatre professionals, with research degrees in Theatre Studies in the UK. We co-run CASL (Centre for Actors in a Second Language) – an online platform for research and dialogue on second language performing. The company has been established to function as a platform for our artistic ideas. Each of us has various roles. Ileana takes on the role of director and scenographer, for which she has specialised during her MA course and Bogdan does the writing and/or adaptation. Places where we have presented our work. An artist – I think – should avoid ‘knowing’ things. – Mihai. I would paraphrase Andre Malraux and say: 21st Century art will be religious (spiritual) or it will not be at all. – Mihai. In my opinion, the essence of an artist's art and its climax is when the artist is able to pause - in front of an audience - to take a second... inhale and exhale. That's art! An artist who cannot take his time to breathe in front of an audience, he is not an accomplished artist. - Mihai.